Do you have a kid in your house? Whenever kids try to use your computer, they always try to get the keyboard of computer and press any key randomly. Same is the case with mouse. Anyone who don't want to accidentally delete important files by these little wonders, should have this software installed. We know you also must have come across such situation. You really want to give a chance to your toddlers but afraid to the damage. 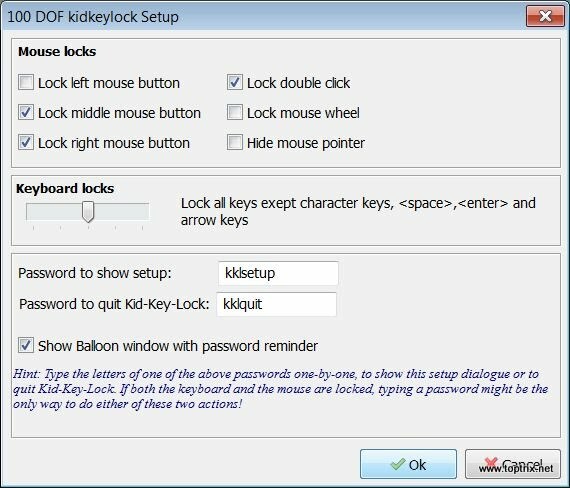 Kid-Key-Lock is also a free and lite program to do the same thing. It has a added functionality to lock mouse keys also. 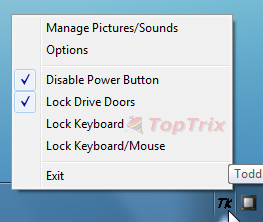 You can lock individual mouse key separately and keyboard also completely. 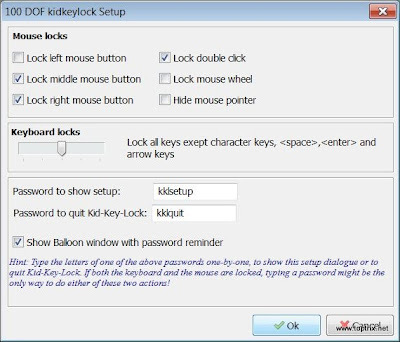 You can not lock the specific keyboard key but the keyboard locks option is provided to lock group of keys like character keys,standard keys and system keys. Its really a useful tool. It run minimized in system tray silently and accessible all the time.